Lacy hats are not only perfect for cool "spring to fall" nights, but they can be also a great fashion statement when you go to a fun party or some social gathering. 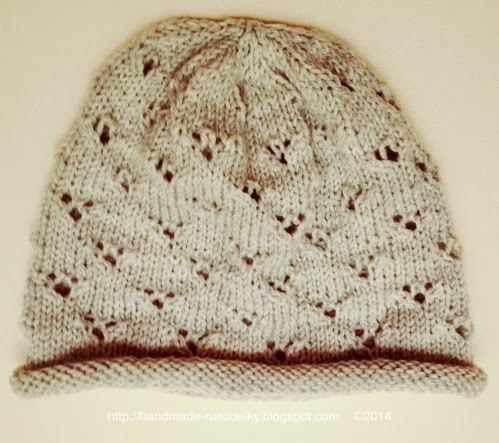 The hat in this post is fairly simple to make. 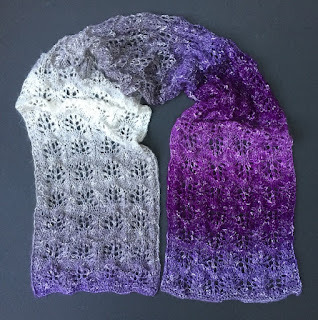 It consists of a repetition of a "V" shaped lacy design on a stockinette stitch base. 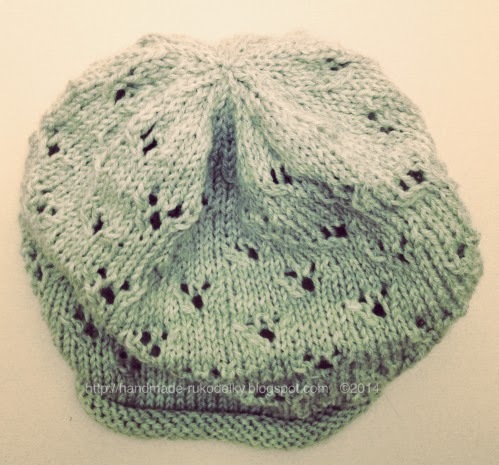 I made my hat from a neutral gray color yarn (wool), but you can make it from any color you want to make it even more interesting. 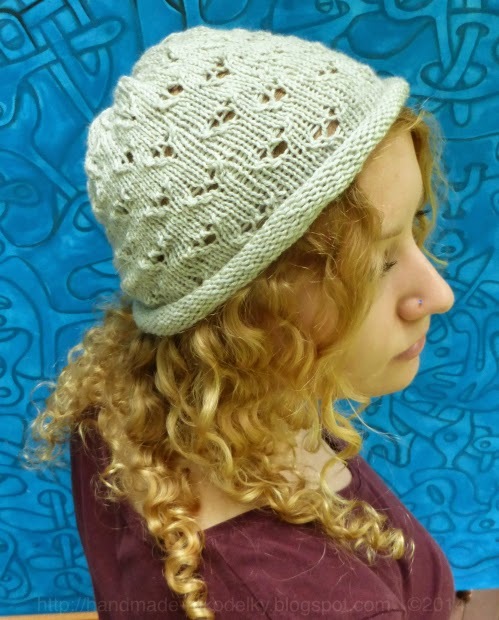 This pattern could make a great fairly quickly knitted gift too. I made it in a couple of hours (not counting: taking images, editing, writing and posting it all on my blog). cast on, knit stitch, yarn over, knit two stitches together, slip-slip-knit stitch, and bind off using a hook. This pattern is only for personal use. And YES, you can share it with your knitter friends. This hat measures 16.5" around (circumference), but fits even 21"-22" head. The height of this hat is 7.75" not rolled. Rnd 75 with a use of a hook BO all 10 sts by pulling one st through remaining 9 sts, then make one more slip stitch so your hat doesn't unravel. Weave in both ends.